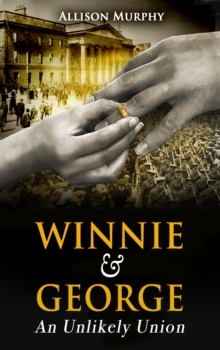 Winnie and George tells the true and previously untold story of two individuals who lived remarkable lives, both before and after they crossed paths. Enhanced with dramatised dialogue, it is a powerful lesson in how love, once discovered, can be greater than the sum of all our divisions. Maria Winifred Carney, known to her friends as `Winnie', and George McBride came from different backgrounds and lived opposing lives. She was a Roman Catholic. He belonged to the Church of Ireland. She was a republican. He was a unionist. She was a member of Cumann na mBan. He had been in the Young Citizen Volunteers loyalist group. She became James Connolly's secretary and carried a Webley gun in the GPO during the Easter Rising. He fought for the British Army at the Somme during the Great War. Both shared a passion for fairness and the rights of the working class. Despite living in a Belfast rife with sectarian tension and opposition from both their families a very unlikely yet successful marriage occurred.